Nora Newcombe has made profound contributions throughout her career to the study of cognitive development in spatial reasoning and memory. Her work draws on insights from developmental and cognitive psychology, from neuroscience, and from education. In one of her major lines of research, she demonstrated a significant contribution that experiential learning has on the development of spatial cognition. She has shown, for example, that adult mental-rotation skills improve with training; and that play between children and adults with puzzles and blocks contributes to the development of spatial cognition. In other work, she discovered that spatial abilities, such as the ability to use simple maps, develop early in life. These abilities help delineate the basic cognitive mechanisms that are recruited for spatial learning. Finally, she has championed an adaptive combination model of the development of spatial cognition. On this account, information sources are combined using mechanisms that weight the sources based on their potential usefulness. In influential studies, she has provided evidence for this account over a modular account in which geometric and object-oriented information is computed in separate, and encapsulated, modules. Newcombe has also made major contributions to the study of the development of memory, including the phenomenon of Òinfantile amnesia", whereby specific early memories are nearly impossible to retrieve later in life. Newcombe proposes that hippocampal maturation leads to a developmental increase in episodic memory at around 2 years of age. She supports this claim with data from several spatial tasks known to depend on the hippocampus. She further argues and provides evidence that memory in older children (2-6) is characterized by source amnesia, and that memory development during this period is linked to maturation of both the prefrontal cortex and the hippocampus. Throughout her career, Newcombe has also translated her profound research findings to the improvement of teaching and education, including the teaching of spatial and mathematical reasoning and their relation. 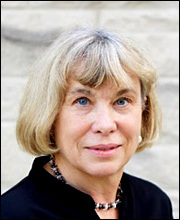 Today, for her profound theoretical and empirical contributions to the study of cognition and development, the Society of Experimental Psychologists awards the Howard Crosby Warren Medal to Nora Newcombe. Throughout her remarkable career, Linda Smith has made groundbreaking and enormously significant contributions to the study of cognitive development, and is one of the leading cognitive scientists in the world today. In early classic work, she provided compelling evidence of a developmental trend from overall similarity to dimensional identity classifications. She captured the trend in terms of an elegant quantitative model that placed emphasis on two developing abilities in children's classifications: the differential weighting of dimensions and the special value placed on dimensional identity. In her pioneering work with Esther Thelen, Smith developed a comprehensive and detailed theory of early human development based on the principles of dynamic systems theory. She was able to show how by processes of exploration and selection, multimodal experiences form the bases for self-organizing perception-action categories. In addition to providing a general theory of the nature of development processes, the dynamic theory provided solutions to some of the major puzzles of child development. Another enormous chapter in Smith's career addressed the question of how young infants are able to acquire so many words so quickly. Her classic proposal of a shape bias in language learning allowed the field to understand how natural predispositions interact with learning mechanisms to carve the world into the categories encoded by language. Her classic findings showed that 2- and 3 year-old children who are given a novel name for an object will extend the name to other objects that are the same shape as the original one, regardless of variations in texture and size. Her discovery and penetrating investigations of the shape bias provided a window on the fundamental mechanisms of word acquisition. In her recent research, Smith has been obtaining natural environmental statistics showing what infants actually see, and has used those statistics to build models of cognitive and visual development. She has become the leader in an emerging field relating human vision and machine learning of ego-centric vision. Her studies make a compelling case that the infant's visual environment is very different from that of adults, that it changes with development, and that the inputs created by this environment are a key part of the development of human visual object recognition and object name learning. Today, the Society of Experimental Psychologists honors her lifetime of contributions by presenting the 2019 Norman Anderson Lifetime Achievement Award to Linda B. Smith. Citation: "for his fundamental contributions to the formal modeling of retrieved context information in memory and his remarkable discoveries in the human neuroscience of memory." 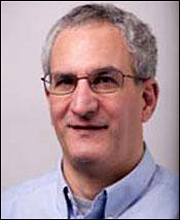 Michael Kahana has made profound contributions throughout his career to the development and testing of formal mathematical models of human memory as well as to human neuroscience research on memory. His retrieved context theory of human episodic memory is the leading theory for explaining how representations of context information are integrated with representations of item information in determining the nature of recall and recognition. In his early landmark papers, he introduced the idea that context information is bi-directionally associated with item information, allowing item cuing to retrieve past contexts, which in turn could be used as a cue for subsequent retrieval. In response to new challenges, Kahana and his students developed systematic elaborations of the core model over the years, and it now provides an elegant account of an enormous body of findings, including: 1) contiguity effects in recall, 2) remote associations among items, 3) inter-response times among items as well as recall dynamics, 4) interactions of semantic and episodic memories during encoding and retrieval, 5) inter-list effects on memory, and 6) age-related differences in recall and recognition. Kahana's lab has also been at the forefront of human neuroscience research on memory. He was a pioneer in the use of intracranial electrophysiology to uncover the neural correlates of memory and cognitive processes. In his early work he identified a theta rhythm in human temporal cortex that exhibited striking parallels to theta activity previously studied extensively in the rodent literature. In more recent work he reported the existence of human hippocampal place cells as well as parahippocampal view cells and goal cells in various cortical regions; as well as human path cells and more notably grid cells in human entorhinal cortex. And in still other work he reported that neurons in human substantia nigra encode unexpected financial rewards. Bringing together his work in formal cognitive modeling and human neuroscience, Kahana and his students asked whether ensembles of neurons exhibit dynamics consistent with his retrieved context theory. In a series of ingenious experiments involving a "delivery person" game in a virtual environment, Kahana and his students demonstrated that spatial context "reinstates" prior to recollection of memories learned in a spatial environment, thus lending direct neural evidence to his retrieved context theory. Today, for his numerous significant theoretical and empirical contributions to the study of human memory, the Society of Experimental Psychologists awards the Howard Crosby Warren medal to Michael Kahana. 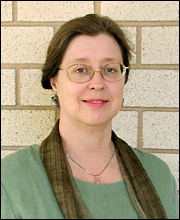 Citation: "for her lifetime of profound theoretical and empirical contributions to the study of language acquisition and its relation to constraints on learning"
Elissa Newport is widely respected as one of the most important scientists making theoretical and empirical contributions to the understanding of language learning. Understanding language design, neural representation, and acquisition is a foundational problem for the computational theory of mind. Newport's program has been to understand both the special properties of language acquisition in this regard, and the contributions that its investigation can make to the broader questions of human learning and cognitive development. Investigators of language learning in the modern era have generally fallen into two sharply divided camps. One group has emphasized the robustness of language acquisition to diverse environmental disparities, suggesting that language is species- specific, unique in character, and acquired under the pervasive influence of a specialized biological endowment. An opposing tradition has emphasized the general capacities of humans to discover statistically reliable patterns under widely varying conditions, supporting the position that language is learned by associative mechanisms commonly used by higher cognitive processes. Stated most generally, Newport's major achievement has been to show that the impressive bodies of evidence from these two perspectives pose less of a paradox than has usually been supposed, and that in fact the findings can be reconciled and brought together in a unified theory of language representation via mechanisms of constrained learning. 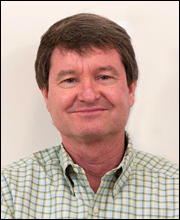 Citation: "for his innovative and foundational theoretical and empirical work linking mind and brain in computational and mathematical models of learning and categorization"
Greg Ashby has made extraordinary theoretical and empirical contributions to experimental psychology throughout his career. His early work on stochastic models of elementary psychological processes brought mathematical and cognitive psychology together, increasing the relevance of mathematical work and expanding the scope and depth of cognitive work. His work on general recognition theory in the 1980s and 1990s extended the basic concepts of signal detection theory to multidimensional spaces and tasks like identification and categorization, and introduced rigorous definitions and methods for assessing perceptual and decisional independence and separability. This body of work has been tremendously influential. Around the turn of the century, Ashby embraced neuroscience, becoming one of the first computational cognitive neuroscientists. He proposed and tested a multiple memory system model of categorization and automatization, grounding it in neuroscience as much as cognitive science. The model identifies distinct brain systems underlying "rule based" and "information integration" categorization and predicts activity in cortical and subcortical structures as well as response probabilities and latencies. The theory has been exceptionally influential, both in research on categorization and automatization and in broader research on computational cognitive neuroscience. Most recently, Ashby has initiated a new research program, called dynamical neuroscience, which includes molecular and cellular biology, genetics, computer science, artificial intelligence, nonlinear systems, statistical processes, physics and psychology. Ashby is showing the field how to integrate computational cognitive science and neuroscience. Citation: "for her ground-breaking and impactful discoveries about the human mind's ability to rapidly extract meaning from words, images and visual scenes"
Mary ("Molly") Potter is known throughout the scientific community for her fierce intellect, deeply original experiments, and fundamental discoveries about human cognition. The central insight in all Potter's research is that we see and fleetingly understand much more than we remember even a second or two later. In the 1970s, in pioneering experiments with rapid serial visual presentation (RSVP), she showed that people could extract meaning before identity and apprehend the gist of a scene very rapidly. She developed the idea of conceptual short-term memory, which remained a theme in her research throughout her career. Rapid serial visual presentation became a favorite tool that Potter applied insightfully and broadly. In the 1980s, Potter expanded her research to include language comprehension, addressing semantics, reading, differences between picture and word processing, and comprehension without words. In the 1990s, Potter and her students made seminal contributions to attention research, discovering repetition blindness and proposing and testing an influential theory of the attentional blink. Since the turn of the century, Potter has made many important contributions to research on attention, memory, and comprehension of language, pictures and scenes. Potter's impact on our field and beyond is enormous. It is still increasing as the field continues to discover new and important ramifications of her work. Research on rapid serial visual presentation continues to provide new insights and applications, even in neurophysiology. Research on scene perception is growing rapidly, much of it inspired by Potter's work. Potter's insights into conceptual short-term memory and the fleeting nature of thought populate the modern literature. 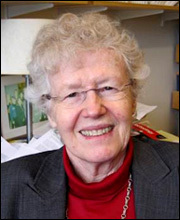 Today, for her many significant theoretical and empirical contributions over the course of a distinguished career, the Society of Experimental Psychologists awards the Norman Anderson Lifetime Achievement Award to Molly Potter. Citation: "for his pioneering and seminal contributions to our understanding of human knowledge development and human reasoning using probabilistic models of cognition." 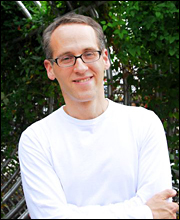 Josh Tenenbaum is one of the pioneers and world's major contributors to probabilistic models of cognition. His research has straddled computer science and cognitive science, exploring key questions at the heart of both human and machine learning: what makes people so smart, and how we can make computers smarter. During his career, Tenenbaum has built an extremely strong foundation that tacklesthe deep question of what the formal properties of human intelligence might be: what allows us to make inferences in diverse domains, to form theories about the world, and to effortlessly link perception and action. His answer is thatall of these abilities depend on the capacity to form rich, structured representations, and to explore the implications of those representations by simulating the outcomes of causal processes using probabilistic generative models. Over the last five years, Tenenbaum has developed the mathematical tools to turn these ideas into a psychologically grounded theory of cognition. His theory is supported by many compelling empirical findings that show how it can predict complex aspects of human behaviorincluding causal, perceptual, and linguistic reasoning. Tenenbaum's ideas have been tremendously influential and they have spread across the entire field of cognitive science. He has developed a generaltheoretical perspective and a powerful set of modeling tools that will have a long lasting effect on the intellectual and practical landscape of cognitive psychology. Tonight, for his pioneering and seminal contributions to our understanding of knowledge development and human reasoning using probabilistic models of cognition, the Society of Experimental Psychologists awards the Howard Crosby Warren Medal to Josh Tenenbaum. Citation: "for his lifetime of seminal contributions to our understanding of the hippocampus and its role in cognition, spatial memory, and memory consolidation in humans and other animals." Lynn Nadel is one of the world's major contributors to our understanding of the hippocampus and its role in cognition and memory. He has advanced two of the most influential theories of hippocampal function: Cognitive Map Theory and Multiple Trace Theory. Nadel's 1978 book with O'Keefe, "The Hippocampus as a Cognitive Map", is generally regarded as the single most important theoretical work on the role of the hippocampus. The work laid the groundwork and defended the hugely influential theory that the hippocampus learns and stores cognitive maps of portions of space. His related work investigated the role of the hippocampal complex and neocortex in the storage, consolidation and retrieval of explicit memory. The work altered the field's conception of the hippocampus from a temporary memory structure that is needed only until consolidation takes place to one that plays a long-lasting role in memory retention and retrieval. His work provides strong evidence that the hippocampal complex is needed to store and retrieve detailed contextually rich memories no matter how long ago those memories were formed. Nadel's more recent work has contributed seminal papers investigating the role of the hippocampus in sleep, dreaming, and reconsolidation. He has also applied his ideas concerning hippocampal function to clinically-relevant problems, and has made substantial contributions to our understanding of the role of the hippocampus in stress, Down Syndrome, and the process of change in psychotherapy. Tonight, for his lifetime of significant and groundbreaking theoretical and empiricalcontributions to our understanding of the role of the hippocampus in memory and cognition, the Society of Experimental Psychologists awards the Norman Anderson Lifetime Achievement Award to Lynn Nadel. Citation: "for his longstanding contributions in dynamic decision making and his modern pioneering work in models of quantum cognition." Jerome Busemeyer has for a long time been one of the world's leading researchers in decision making. His influential decision field theory is a dynamic and stochastic model of decision making designed to describe the variability of human preferences and how these preferences evolve across time. The theory provides an elegant account of decision making under risk and explains a host of intriguing decision paradoxes. More recently, during the past five years, Busemeyer pioneered a brand new theoretical approach for understanding the failures of humans to make decisions on the basis of 'rational' principles. His new approach views human cognition as being governed not by the standard probability theory but by a probability system borrowed from quantum theory. His quantum-cognition approach involves systematic application of this alternative system of probability to explaining human decision making in the social and behavioral sciences. Beyond demonstrating that the new theory predicts many of the research findings that have been problematic for 'rational' models, he has developed new and systematic empirical tests that are directly motivated by the new approach and that provide remarkable support for it. His applications and tests of his quantum-cognition theory have appeared in diverse settings, including effects of categorization on decision making, the nature of probability judgments, similarity judgments, and measurement order effects. The new ideas have been hugely influential, sparking international conferences, special issues of journals, and major books. Jerome Busemeyer was vital in starting a new and exciting branch of our field. Tonight, for his longstanding theoretical and empirical contributions to our science and his new pioneering work, the Society of Experimental Psychologists awards the Howard Crosby Warren Medal to Jerome Busemeyer. Citation: "for his pioneering theoretical research on how brains give rise to minds and his foundational contributions to computational neuroscience and connectionist cognitive science." 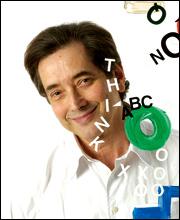 Over the course of his remarkable career, Stephen Grossberg has been a major pioneer and leader of theoretical research on how brains give rise to minds and how technology can emulate biological intelligence. 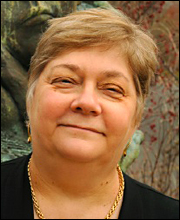 Grossberg's research is highly interdisciplinary, combining elements from neuroscience, psychology, applied mathematics, computer science, physics, and philosophy. In the 1960s, Grossberg began using systems of non-linear differential equations to model short-, medium-, and long-term memory. This work proved foundational to computational neuroscience, connectionist cognitive science, and many approaches to neuromorphic technology. Grossberg discovered design principles and neural architectures that clarify how the behavior of individuals, or machines, can adapt autonomously in real-time to unexpected environmental challenges. He introduced and made critical contributions to adaptive resonance theory, competitive learning and self-organizing maps, and content-addressable memories. His subsequent work included models of vision and image processing; object and event recognition; audition, speech and language; brain development; cognitive information processing; reinforcement learning and cognitive-emotional interactions; navigation; sensory-motor control and robotics; and mental disorders. His modeling and experimental tests involves multiple levels of brain organization ranging from individual spikes and their synchronization to cognition. 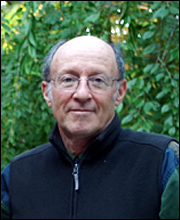 Tonight, for his many significant theoretical contributions to computational neuroscience and experimental psychology over the course of a distinguished career, the Society of Experimental Psychologists awards the Norman Anderson Lifetime Achievement Award to Stephen Grossberg. Citation: "for his innovative and penetrating theoretical and empirical work in attention, automaticity and skill acquisition, executive control, and neural mechanisms of information processing." Gordon Logan has made profound theoretical and empirical contributions to the study of attention and automaticity, the development of skill acquisition, and the nature of executive control. He pioneered and extensively developed the stop-signal paradigm, which requires subjects to inhibit an ongoing action in response to a stop signal. He conceptualized and modeled performance in the task in terms of a race between the mental processes that govern the action and a "stop process" that inhibits the action. The paradigm provides an elegant approach to assessing the issue of how people inhibit behaviors, and has been applied successfully to the study of performance in wide varieties of clinical populations who show deficits in inhibitory control. Logan also developed the hugely influential "instance theory of automatization." The theory holds that automatic processing develops because the observer stores separate representations or "instances" of each exposure to a task. Consistent practice results in an increase in the speed of retrieval of the instances. The theory accounts for fundamental quantitative results involving the speed-up functions associated with practice in cognitive tasks. It formalizes the view that novice performance is limited not by a scarcity of resources but rather by a lack of domain-specific knowledge. 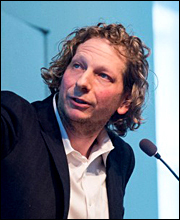 In his recent work, Logan has provided ingenious demonstrations of multiple forms of error-detection processes in skilled typists; has significantly advanced compound-cue retrieval theories of performance in task-switching paradigms; and has made major contributions in a collaborative program of research that uses neural-measurement approaches to constraining information-accumulation models of choice response times and saccadic eye movements. 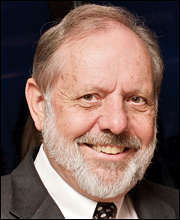 Tonight, for his significant theoretical and empirical contributions to our science, the Society of Experimental Psychologists awards the Howard Crosby Warren Medal to Gordon D. Logan. Citation: "for his pioneering contributions to the understanding of word recognition, the control of aimed movements, and the cognitive architecture underlying dual-task performance "
Over the course of a remarkably productive career, David Meyer has made seminal contributions to diverse areas of experimental psychology. In the early 1970s, he made his first profound discovery: a word such as dog is recognized more quickly when it is preceded by a related word (e.g. cat) than when it is preceded by an unrelated word (key). That simple finding - which is now part of the foundational knowledge that defines our field - revolutionized theories of word recognition and remains as influential today as it was 40 years ago. Later, in the 1980s, he turned his attention to movement control. Making a faster movement - for example, when playing the piano - occurs at the expense of being spatially less accurate. Since 1954, this speed-accuracy tradeoff was known to be characterized by a logarithmic function known as Fitts' Law, but a satisfactory theoretical explanation for that empirical relationship remained elusive. Meyer and his colleagues solved this puzzle by proposing an elegant rational theory of Fitts' Law based on normative assumptions of optimality. This theoretical breakthrough linked the previously isolated study of physical movement to theories of sensation and perception, memory and cognition, and reasoning and problem solving - all of which routinely incorporate rational and normative rules. Later, Meyer embarked on another influential line of research investigating the mental chronometry underlying perception, cognition, and action in dual-task situations, such as driving while talking on a cell phone. To what extent do perceptual processes associated with the two activities occur in parallel? How is the output from one operation communicated to another? His work on this issue and related issues culminated in an influential theoretical framework known as EPIC (which stands for Executive-Process Interactive Control) that accounts for skilled performance not only in the laboratory but also in real-world situations, such as aircraft operation and human-computer interaction. 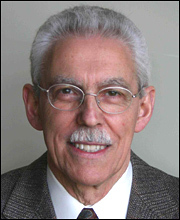 Tonight, for his many significant theoretical and empirical contributions over the course of a distinguished career, the Society of Experimental Psychologists awards the Norman Anderson Lifetime Achievement Award to David Meyer. Citation: "for her creative and rigorous empirical and theoretical investigations of the time course of information processing and the mechanisms of attention and perceptual learning." 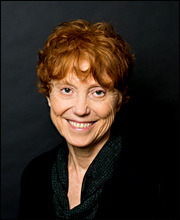 Barbara Dosher has made extraordinary empirical and theoretical contributions to the study of the time course of information processing and memory retrieval and to investigations of the mechanisms of attention and perceptual learning. Early in her career, Dosher pioneered the development of a speed-accuracy tradeoff protocol that measures the precise rate at which information becomes available. Using this and related response-time methods, she showed that retrieval of information from semantic and episodic memory occurs largely in parallel. Furthermore, in studies of the time course of short-term memory, she showed that whereas various factors affect the strength of available information, the dynamics of memory retrieval speed are relatively invariant, further suggesting a role of parallel direct-access mechanisms. In more recent years, Dosher has advanced the field's understanding of the mechanisms of attention and perceptual learning. By combining a Perceptual Template Model with an ingenious method based on adding external noise to the visual stimulus, she showed that three distinct attention mechanisms - signal enhancement, distractor exclusion, and internal noise suppression - yield three distinct signature patterns of performance. The theory has been applied in a wide variety of empirical domains and has been hugely influential in psychophysics, cognitive neuroscience, and neurophysiology. She has also applied the observer model and external-noise methods to document separable mechanisms of perceptual learning, evaluate different training procedures and the role of feedback, and provide evidence for channel re-weighting as a crucial basis for perceptual learning. In collaboration with Zhong-Lin Lu, she developed an Integrated Reweighting Theory to explain location and feature specificity and transfer in perceptual learning. The theory provides a unified account of an enormous body of work in perceptual learning and identifies fundamental principles that yield generalizable perceptual learning. Tonight, for her significant theoretical and empirical contributions to our science, the Society of Experimental Psychologists awards the Howard Crosby Warren Medal to Barbara A. Dosher. Citation: "for his imaginative investigations of unconscious influences on memory, the nature of memory attributions, and the effects of cognitive aging on memory." Larry Jacoby has made major contributions during the past forty years to our understanding of memory that are remarkable both in their depth and breadth. In addition to his numerous contributions to cognitive psychology, he has published influentially in social psychology journals and has also made critical contributions to the area of cognitive aging. 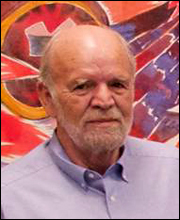 In the 1970s, Jacoby worked on topics of transfer of information from short-term to long-term memory and on the levels of processing approach to memory. Both these topics were at the cutting edge of research in the 1970s, and he made significant contributions to them. In the 1980s, he turned his attention to an emerging field that came to be called implicit or indirect measures of memory. One of the main starting points of this revolution in the study of memory came from a paper by Jacoby and Dallas in 1981, published in the Journal of Experimental Psychology: General, where they showed, for the first time, that variables that have huge effects on standard explicit measures of memory such as recognition have either no effect or an opposite effect on implicit measures of memory -in this case, a word identification test. Jacoby and colleagues published many other impressive investigations on this topic, including pioneering studies of "memory attributions" that examined the influences of implicit forms of memory and how they could occasionally intrude into conscious decisions, and vice versa. For example, his work on the false fame effect or "becoming famous overnight" showed that when people are exposed repeatedly to a nonfamous name such as Sebastian Weisdorf, and then time passes so that they no longer explicitly recollect having seen the name, they would later judge the name as being famous in a fame judgment task. In 1991, Jacoby made one of his most important contributions when he published a paper on the ingenious process dissociation procedure, which permits separate estimates of the contributions of controlled and automatic processes in a variety of tasks, and has had a huge influence on research in several fields of psychology. 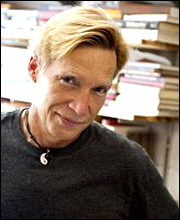 Around this time, Jacoby also initiated his studies of cognitive aging, which over the past two decades have used a number of novel techniques he developed to illuminate the interplay between conscious and nonconscious memory processes in older adults, including demonstrating that older adults are particularly susceptible to false fame effects as well as other memory errors and illusions. Tonight, SEP honors his scientific achievements by presenting the 2013 Norman Anderson Lifetime Achievement Award to Larry L. Jacoby. Citation: "for his singular achievement in developing and testing exemplar models of cognition, with particular focus on the critical importance of psychological similarity and attention." Robert Nosofsky has provided penetrating analyses of classification, concept formation, and category learning. His Generalized Context Model has led the field for many years and has been elaborated in newer models applied to a variety of different issues in cognitive psychology such as memory scanning. Nosofsky's research began with applying predictions of his model to basic perceptual stimuli, such as colors or slants of lines. Over the years he ambitiously applied the model to more complex items, including faces, and even to more abstract stimuli such as linguistic or semantic stimuli. His model was developed on the basis of, and tested by, a host of superbly crafted empirical studies. One hallmark of his theoretical and empirical contributions is that the model makes predictions for a variety of measures, including in some cases predictions of detailed reaction time distributions at the level of individual stimuli within concept structures. He recently developed the Generalized Context Model into an exemplar-based random walk model and applied it to the classic Sternberg item-recognition (memory scanning) paradigm. Predictions of the model were remarkably congruent at the level of individual response-time distributions across a wide range of short-term item-recognition tasks. Nosofsky has also applied his models to issues of explicit and implicit classification, calling into question the need for the distinction. Nosofky's program of research exemplifies the best applications of mathematical models to thorny empirical problems with successful resolution. Tonight, for his significant theoretical and empirical contributions to our science, the Society of Experimental Psychologists awards the Howard Crosby Warren Medal to Robert M. Nosofsky. Citation: "for his programmatic and innovative investigations of adaptive aspects of learning, memory, and forgetting." Bob Bjork has made major contributions to numerous aspects of our understanding of learning, memory, and forgetting spanning 5 decades. The scope and extent of Bjork's work is both sweeping and highly programmatic: He has been a pioneer in research on directed forgetting, retrieval-induced forgetting, the role of desirable difficulties and testing effects in learning, metacognition and learning, and applications of laboratory research to educational practice. These seemingly diverse topics are linked conceptually in Bjork's work by a theoretical and empirical emphasis on the adaptive functions of memory. Some of Bjork's most impactful work on this theme is reflected by his pursuit of theoretical ideas such as the initially counterintuitive but now widely accepted notion that forgetting serves adaptive functions. Bjork's scientific impact on the field is well-reflected in the chapters and testimonials collected together in the 2011 festschrift volume that honors his life and work, Successful remembering and successful forgetting: A festschrift in honor of Robert A. Bjork. 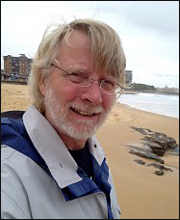 In addition to his major scientific contributions to cognitive psychology, Bjork also has made an impact through his exemplary service to the field. He served as Editor of Memory & Cognition from 1981 to 1985 and later as Editor of Psychological Review from 1995-2000. 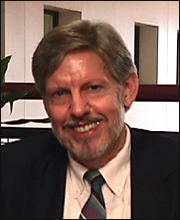 Bob was also one of the founders of a major new journal, Psychological Science in the Public Interest, and served as its Co-editor from 1998- 2004, and chaired the influential National Research Council Committee on Techniques for the Enhancement of Human Performance from 1988-1994. Reflecting his leadership skills and general wisdom, Bjork is a Past-President of the Association for Psychological Science and Western Psychological Association, and served as Chair of the Psychonomic Society, the Council of Editors of the American Psychological Association, the Council of Graduate Departments of Psychology and, appropriately enough, SEP.
Tonight, the Society of Experimental Psychologists honors his scientific achievements by presenting the 2012 Norman Anderson Lifetime Achievement Award to Robert A. Bjork. Citation: "In recognition of his recent penetrating and influential work examining human memory theoretically, experimentally, and biologically--particularly the constructs of recollection and familiarity." 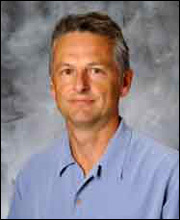 John Wixted has conducted pioneering research and created extensive theoretical analyses of recognition memory. He has developed and extended the original ideas from signal detection theory in novel ways and brought them to bear on new phenomena, ones that had previously seemed incompatible with the theory. His recent theoretical analyses have blended strengths of single and dual process theories of retrieval into one coherent theoretical framework that includes both recollection and familiarity as components. Within his model, he has shown that both recollection and familiarity are graded processes. In addition, in collaboration with Larry Squire, he has shown that the hippocampus and perirhinal cortex support both recollection and familiarity. For these outstanding achievements, John Wixted is presented with the Howard Crosby Warren Medal. Citation: "In a vastly productive career, Michael Turvey has emerged as his generation's most influential proponent of the ecological approach to the study of perception and action." Michael Turvey began his career conducting research in the standard information-processing paradigm popular in the 1970s, and he published a landmark paper on central and peripheral processes in visual masking in Psychological Review in 1973. While conducting this research, however, Michael began reading the work of James J. Gibson and became convinced of the merit of his approach of ecological perception and direct realism in contrast to the assumptions of the standard information processing model. Turvey published another important Psychological Review paper in 1977 in which he contrasted the approaches. Although Gibson had an ecological approach to vision, he did not provide an analysis of action. In a major theoretical contribution, Turvey developed a new approach to the understanding of coordinated action based on analysis of actors as dynamical systems. At the same time, Turvey carried forward this line of research, he also carried forward a separate research program (often in collaboration with Georgie Lukatela) on visual word recognition. They helped establish the finding that readers of a great variety of writing systems access the phonological forms of words shortly after a word is fixated. The infusion of dynamical systems theory and ecological approaches to the study of perception and action is due to the remarkable contributions of Michael Turvey. Experimental psychology and related disciplines including movement science, speech science, and physical therapy have been fundamentally transformed by this remarkable individual, for whom the Norman Anderson Lifetime Achievement Award is most fitting. Citation: "To Elizabeth Loftus...for her significant contributions to the understanding of the phenomenology of human memory, especially its fragility and vulnerability to distortion." The Howard Crosby Warren Medal is presented to Elizabeth Loftus for her influential studies of human memory. In creative studies of normal human memory, she has demonstrated its fragility and its vulnerability to distortion. Her research on postevent information effects on the prior memory of the event and her research on false memories, in which she demonstrated that it is possible to possess memories of events that never happened, have significantly influenced modern research on human memory. Estes, for example, began a recent Psychological Review article by stating that one of the four facts of memory for which any satisfactory theory must account is memory distortion. Before the seminal work of Elizabeth Loftus, models of memory assumed the loss of information over time, or forgetting, but modelers had not contemplated the possibility of the inclusion of postevent information in the representation of an event. Hence, Dr. Loftus' initial reports on the effect of post-event information were greeted with skepticism, and early follow-up studies by other researchers were attempts to demonstrate that her findings were artifacts of loss of information plus guessing. This led to methodological advances in the study of memory, however, and completely vindicated her work. In the 1990s, when the claim was advanced that memories could be deliberately repressed and then years later recovered, virtually all of the experimental research with humans that was relevant to this claim had been either performed by Dr. Loftus or inspired by her research. She took the lead in presenting the experimental evidence in the courtroom and to the public. Dr. Loftus is a prolific writer and a tireless communicator of her findings, and the relevance of her work to topics such as eyewitness testimony and recovered memories has now been widely recognized. Today, students learn in their textbooks that, contrary to intuition, the inevitable effect of postevent information on memory is the recovery of memories that are false. However, in the 1990s, because the fact that victims could unwittingly make false claims was seen to undermine their heartfelt accusations of horrific crimes, Dr. Loftus was subjected to a campaign of vilification that impaired her ability to perform the research essential to evaluate these claims. During this period she stood alone, without public support from any colleague. Her aplomb and fidelity to empirical evidence are a profile in courage that deserves to be remembered and honored. We do so tonight. 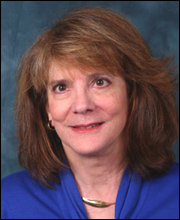 The Society of Experimental Psychologist is pleased to award the 2010 HOWARD CROSBY WARREN MEDAL for significant research in Experimental Psychology to ELIZABETH LOFTUS. Citation: "To Brenda Milner... for her foundational contributions to the science of memory and the brain and elegant studies elucidating the neuropsychology of human memory." The scientific study of the relation of brain to behavior dates back to the early 19th century, but the modern era of memory research was inaugurated by Brenda Milner. Her elegant studies of the noted patient H.M. established fundamental principles about how memory functions are organized in the brain--principles that continue to guide the discipline. Dr. Milner's seminal discovery of the central role that the hippocampus plays in memory was instrumental in establishing the field of cognitive neuroscience. Long before sophisticated neuroimaging techniques became available, she illuminated the function of the medial temporal and frontal lobes and the two hemispheres by combining psychometric techniques and psychological experimentation with detailed knowledge of the locus of brain damage. In fact, her early studies on the effects of damage to the medial temporal lobes with Penfield in 1958 and Scoville in 1957 are among the most cited papers in the whole of Neuroscience. These early studies were followed by others demonstrating that the memory deficit Incurred by damage to the medial temporal lobes is confined to the encoding, retention, and retrieval of information only from long-term memory and does not affect all long-term memories equally. Perceptual and motor learning, for example, proceed normally without a hippocampus, even though the individual has no conscious recollection of performing the task before. Semantic memory, or the general knowledge we have about the world, also survives hippocampal damage if it was acquired sufficiently long before the damage occurred. In the 1960s and 1970s, Dr. Milner's studies of damage to prefrontal cortex provided the basis from which all current theories of the role of the prefrontal cortex in cognition are derived. In this work, she demonstrated that damage to different regions of prefrontal cortex in humans leads to selective and relatively independent deficits. Her research has had a profound and continuing influence on clinical domains in the development of tests to assess, diagnose, and treat people with brain disorders resulting from traumatic injury and degenerative diseases, and from psychiatric illness. Dr. Milner has also made major contributions to our knowledge of hemispheric specialization in memory, cognition, and language. She and Rasmussen showed that language lateralization following brain damage is related to handedness and to the timing and locus of the injury. Recently, she and Dr. Denise Klein have been examining the functional organization of language in the brains of bilingual people. Finally, Dr. Milner has mentored two generations of scientists who themselves have become leaders in the field and made major contributions to our understanding of brain-behavior relations. Among these is one of our new Fellows, Morris Moscovitch. Dr. Milner is a member of the pantheon of great psychologists and neuroscientists, standing alongside the greatest neuroscientists of the last half century, including Nobel Prize winners. Like them, she has transformed the field--and has done so in a most dignified and elegant fashion. Her scientific contributions have been recognized by at least 20 honorary degrees and many of the most prestigious awards that Canada and international scientific societies representing both psychologists and neuroscientists can confer. She is a fellow of the Royal Society of Canada, the Royal Society of Canada of the United Kingdom, and the National Academy of Sciences (USA), and was recently awarded the highly coveted Balzan Prize. 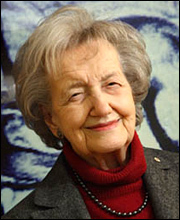 Tonight, The Society of Experimental Psychologists is pleased to present the 2010 NORMAN A. ANDERSON LIFETIME ACHIEVEMENT AWARD to BRENDA MILNER for her foundational contributions to the science of memory and the brain.